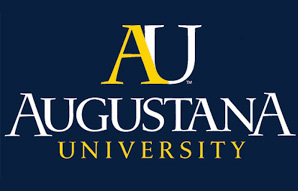 Thrive’s work to improve educational outcomes for school-age children would not be possible without the support of Augustana Research Institute. ARI, directed by Senior Research Associate Suzanne Smith, is informed by a cross-sector team of faculty researchers from Augustana University’s business administration, sociology, education, government, economics, and psychology departments. Dr. Pam Homan, Executive Director, Center for Innovation and Entrepreneurship provides overall leadership to project coordination and acquisition. • supports Thrive’s Strategy Council, assisting in the targeting of obstacles to children’s academic success. • conducts community-based research projects that lay the groundwork for Thrive action team activities. • works with Thrive action teams to identify performance indicators and measure progress toward goals. • maintains the neutral data hub where information needed to assess local programs and services is securely stored. For more information about ARI, click here.